Cancun, with its palm trees, its warm Caribbean breeze, its white sand beaches and turquoise waters, is already one of the most popular tourist destinations in the world. If you and your partner are planning to celebrate your anniversary, an unforgettable marriage proposal or a dolphin swim for two, this destination has endless options. No wonder so many travelers opt to come to this city in search of a pleasant romantic experience. Many of the hotels in Cancun are designed for adults, especially those looking to relax and reconnect with their partner. However, the selection of alternatives does not end there. Meet the best spots to celebrate love. One kilometer from the Archaeological Zone you will find one of the most beautiful beaches in the world. There, you and your partner can enjoy an ancestral experience or the amenities of Playa El Paraíso, where you can calm down and disconnect for a while with one of the most beautiful views of the Mexican Caribbean. Romantic, right? The perfect spot to escape from everything, as it is both an uninhabited island and a natural reserve that can be visited on an all-day excursion, led by specialized biologists. 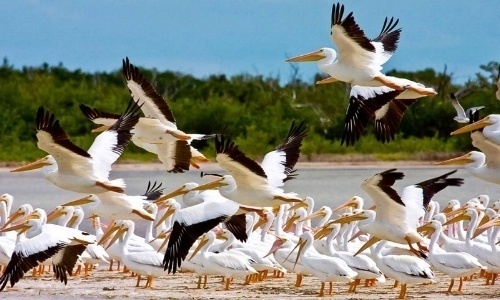 This island is full of different species of birds, both local and migratory. This outdoor mall has the ideal setting for a romantic evening stroll, as its bridges, canals and fountains are beautifully lit. 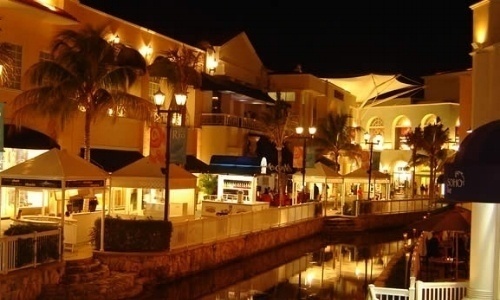 This place allows you to have a wonderful dinner and then a walk along the marina area by the lagoon. 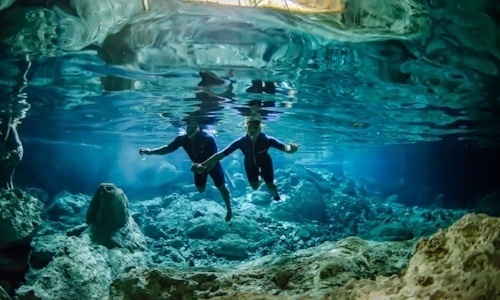 These natural phenomena are connected by an underground river system and are filled with fresh water, perfect for cooling off the Caribbean climate. This cenote in particular is located between Playa del Carmen and Tulum and has different depths, making it suitable for divers of all ages. 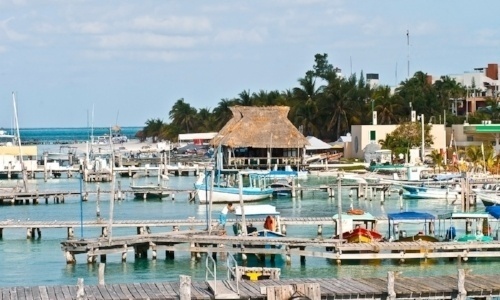 A 15-minute boat ride will take you to one of the most popular destinations: Isla Mujeres, which owes its popularity to its beaches and to its particularly laid-back atmosphere. You can get there with a tour, or by water taxi or ferry. In the center of the island you will find a variety of shops and restaurants and you can rent a golf cart to go round the island. This way, you and your partner will discover this place in which the ancient Mayan civilization worshiped Ixchel, goddess of fertility. On the Columbus Spanish Galleon, you can enjoy dinner with a Sea and Earth menu. Then, go for a walk along the beautiful Laguna Nichupte while the sun is setting, and the soft melody of a saxophone surrounds you. This tour is perfect for a wedding anniversary or even a marriage proposal. 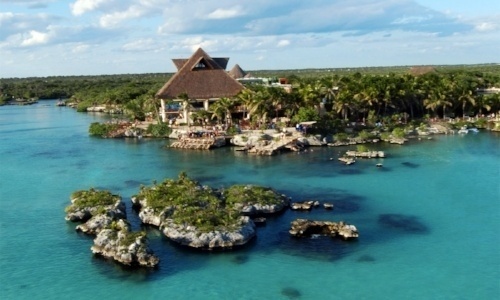 This eco-park belongs to Xcaret Experiences (Xcaret, Xplor, Xenotes, Xenses, Xoximilco) and has an impressive natural aquarium, magnificent caves and cenotes where you can swim and see the local marine life. Here you can explore the Mayan ruins, jump from the Cliff of Courage, cross a floating bridge, ride bikes and even fly kites. 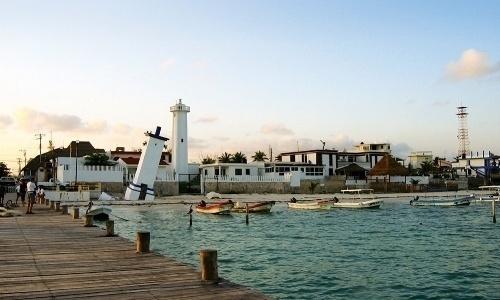 Xel-Há has a delicious buffet restaurant and children's area, as well as a wonderful spot for swimming with dolphins. In Arrecife Nacional Parque Puerto Morelos, nestled in the Mesoamerican Reef System - the second largest barrier reef in the world - you can perform water sports such as diving, windsurfing, kayaking, and snorkeling, as it is preferred by many for its coral and tropical landscapes. 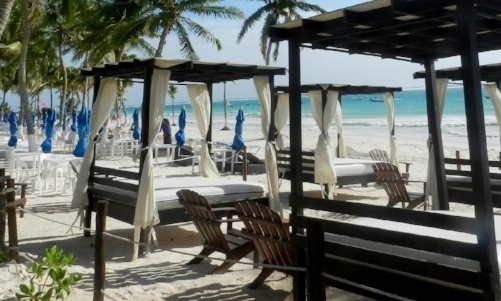 Puerto Morelos is among the favorite places of couples looking for a beach away from the commercial spots, as well as those seeking interaction and swimming with dolphins. Remember to plan your visit in advance so that you and your partner have a pleasant experience for your celebration. 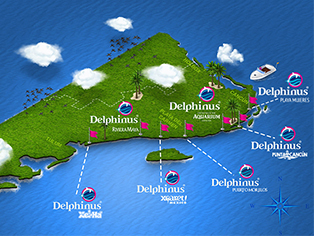 At Delphinus, we want to witness this great story, with our dolphin couple swim, specially designed for you and your partner.